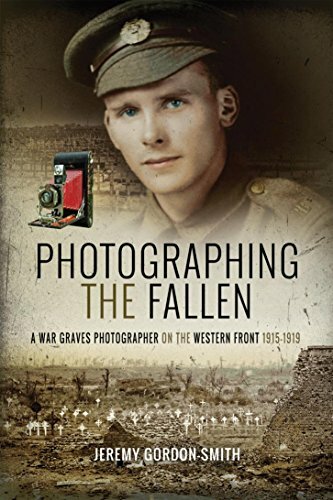 Photographing the Fallen: A War Graves Photographer on the Western Front 1915–1919 bei DIREKTE VERGLEICH Online einkaufen. Ivan Bawtree has left behind a vast array of archives that tell the story of his work as a photographer with the Graves Registration Units on the Western Front from 1915 to 1919. He traveled to numerous parts of Northern France and Flanders most notably the Ypres Salient to photograph and record graves of fallen soldiers on behalf of grieving relatives. He was one of only three professional photographers assigned to this task, hired by the newly formed Graves Registration Commission in 1915. Through his pencil and lens we gain detailed insight not just into the work he did and the men he worked with, but also aspects of the military zones, the perils of proximity to the Front Line, the devastation of war, and the birth and early work of the Imperial War Graves Commission. Today, the war cemeteries that Ivan saw spring up across battle-scarred landscapes and provide the most widespread and enduring reminder of the scale of loss and sacrifice of the Great War. Salvata dalle tenebre (Il vampiro miliardario Vol. Einfache Anwendung im gesamten Sortiment. Geräuscharmer Betrieb auch bei hoher Leistung. Leicht zu reinigen: Mit Haushaltsreinigern und Wasser reinigen. 18 x 3 = 54 Wäschen.